Building Log Homes in USA, Canada, and around the world. 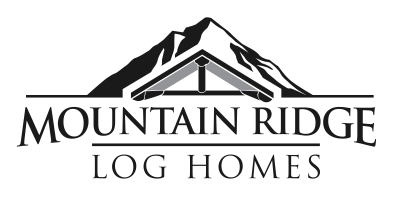 At Mountain Ridge Log Homes, we pride ourselves on providing an exceptional customer experience throughout the entire build of your log home. From the initial consultation right up to the finishing touches, you’ll be treated like family. Your input, questions, and concerns will always be our top priority. At Mountain Ridge, we’re never satisfied until you are. With decades of international industry experience, Mountain Ridge produces a world-class log package. Our log homes are made with nature’s most exquisite, tight grained woods: Western Red Cedar and Douglas Fir. 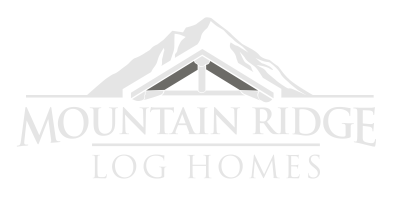 The superb craftsmanship of our highly skilled team is evident the moment you enter a Mountain Ridge built log home. The artistry entrenched in each of our handcrafted log homes sets us apart, and will leave your guests and neighbors in a state of awe. At Mountain Ridge Log Homes, we’re not just log home builders, we’re artists. Shane has consistently provided me with exceptional customer service. Not only is his response time incredible, but Shane works to proactively address any questions I may have. He contacted me regularly and always valued my input. He truly cares about his customers, and he shows this through his willingness to educate and share his vast knowledge of log homes with his clients. He is perfectly professional and personal at the same time, and truly made me feel like family. I have developed real estate and built homes for the better part of my career. Shane has provided me with some detailed log and timber work, and the finished product was exquisite. I couldn’t speak more highly of the work that he does. 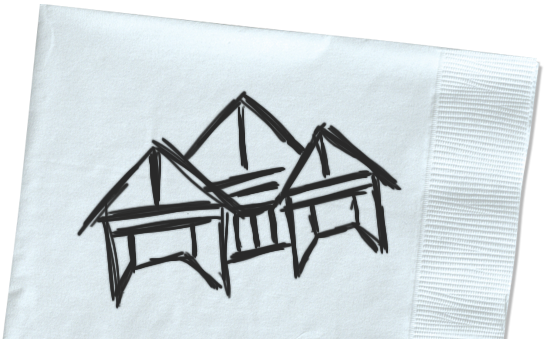 You have unique needs, and we’re experts at bringing napkin sketch ideas to life. We guarantee the process of building your dream log home will be exciting, fun and the end result will be visually stunning. 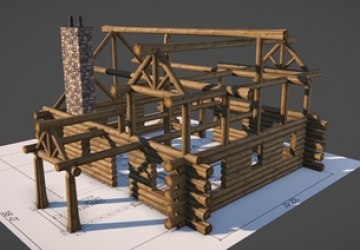 Click below to see a sample of our log home designs to help you get started. Western Red Cedar contains naturally occurring fungicides, called thujaplicins making the wood resistant to decay and rot. Western Red Cedar is an excellent thermal insulator, outperforming brick, concrete and steel. The low density and air spaces make it the best insulator of any logs available for log homes. It protects your log home from the extremes of heat and cold. Western Red Cedar grows in British Columbia coastal regions at low to mid elevations where the climate is cool, mild, and moist. Because of it’s straight, tight grain, Western Red Cedar is resistant to warping and twisting. It also has a very low shrinkage factor. This makes it superior to all other soft woods used in building log homes. The most visually appealing benefit to Western Red Cedar log homes is its natural shape and characteristics. We use the flared root ends of the tree to give your log home a distinctly beautiful look. Many companies build log homes, but few share our dedication to professional service and quality craftsmanship. 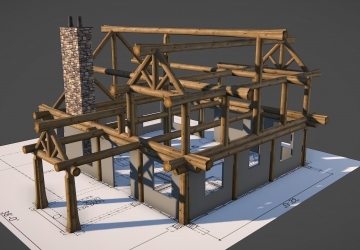 At Mountain Ridge Log Homes, we welcome projects both big and small, and are happy to work with existing plans or provide design services for your dream home. If you’re ready to get started, give us a call today. You’ll be happy you did.